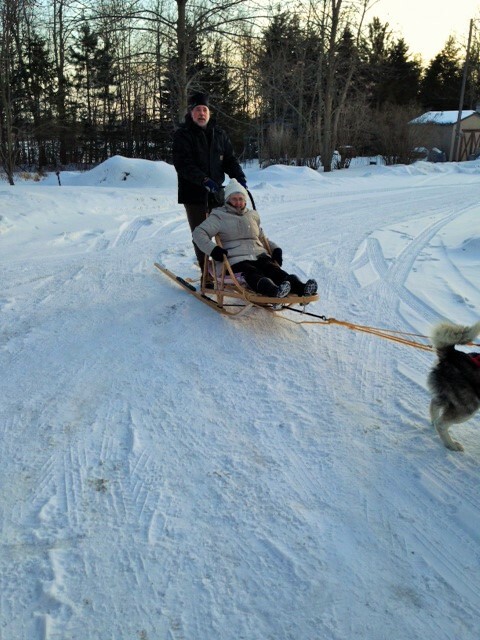 Home » Dog-sledding » Dog Sledding! A dream has come true! 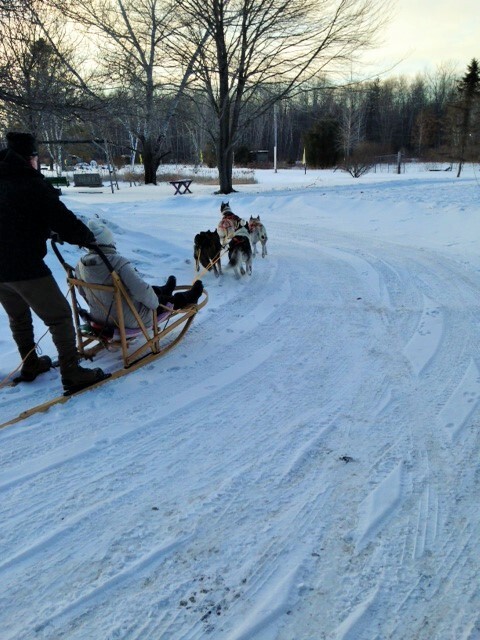 I went dog-sledding! My nephew, Ruhl, has Huskies and they are beautiful! 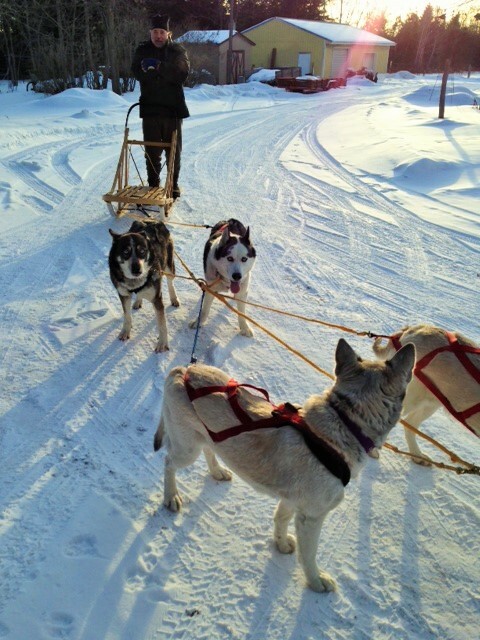 He also has a dog sled! He’s known my desire for a few years now, but it just wasn’t the right time to take an aunt who is in her 70’s! Until today! It’s a beautiful, cold, crisp, sunshiny, snowy day! I felt like a little kid! At one point I remember yelling, “This is so much fun!” We tipped over once! We were turning around and the dogs turned too sharply! Ruhl was a little worried about me. I was fine and came up laughing! A rabbit ran across the drive in front of us and the dogs saw it! They kept running but they were looking off to the left to where the rabbit went! This is Marilyn and Ruhl, my beautiful niece and nephew! Thank you, thank you, thank you! 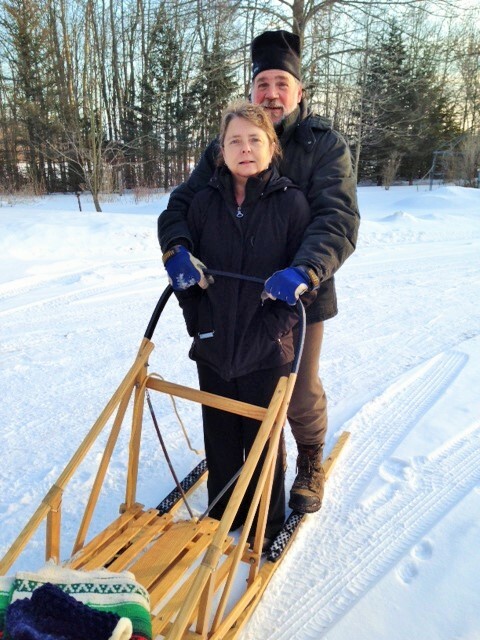 This entry was posted in Dog-sledding, Fun, Marilyn, Me, Michigan, Ruhl, Snow and tagged Dog-sledding, Family, Fun, Marilyn, Me, Michigan, Ruhl, Snow. Bookmark the permalink. Anita, you are quite the adventurer! Thanks, Iris! I do love adventure! We never see snow down here in Florida where the dogwood and azaleas are blooming just now. Oh, how I wish I could dog-sled with you. It would be a new adventure for me. Great post!